For a movie called A Short Film about Killing, Krzysztof Kieślowski’s extended take on his 1988 TV episode/short film Decalogue: Five, doesn’t include much actual killing. Here’s an illuminating statistic: A Short Film About Killing (1988) has one-twentieth the number of the deaths that Quentin Tarantino’s Kill Bill Vol. 1 has (3 versus 62–and that’s counting a death that doesn’t even take place in Killing). Kieślowski’s approach to the subject is overtly political and highly moving: less killing, more about killing. The storyline is simpler than most episodes of Law and Order, but the ethical and political questions Kieślowski’s film raises are exponentially more complex and thoroughly probed. The film follows three men in Warsaw – a young man named Jacek, a taxi driver, and a newly minted public defender – as their lives converge after the Jacek brutally murders the taxi driver and the lawyer is appointed to defend him. The political commentary of Killing does not rely on a search for a culprit like M (1931), or even a courtroom like To Kill a Mockingbird (1962) or 12 Angry Men (1957). However, it’s a film that makes significant contributions to the debates about capital punishment and law enforcement, undoubtedly influenced by its setting in 1988 Poland, and still extremely relevant to the international discourse today. All things considered, much of the film’s more direct commentary emerges from everything but the script. Most of the film is shot with an awful black halo vignetting the frame (the boy sitting next to me called it a “bad Instagram filter”). Faces often disappear into the haze. This is a striking effect, given that the majority of the screen-time otherwise is devoted to tight shots of the protagonists’ faces; entire bodies are rarely shown in a single frame. During Jacek’s execution, there is a brilliant cut in from a wide shot of everybody in the room listening to the warden repeat the sentence to Jacek’s view of his face. With the change in perspective come subtle changes that convey Jacek’s terror like magic, the whole thing so delicate and disconcerting. The warden’s voice booms directly out from the screen somehow, and his face sharpens and yellows with added filtration. 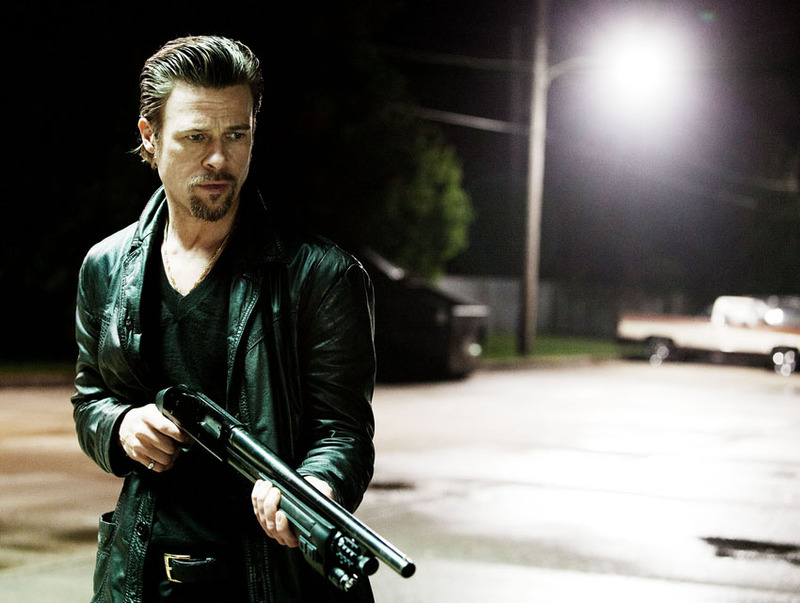 Besides specific stylistic choices, the general pacing of the film communicates its message, however obliquely. There are at least two minutes spent on arranging the execution chamber; we see the yellow plastic pan that will collect Jacek’s final bowel movement thrown haphazardly into the trapdoor below the noose. Conversely, Kieślowski sees no need to depict the arrest or the trial. The action leading up to the murder tells that entire story precisely so Kieślowski can focus on other, more psychological events and exchanges, like a wrenching final conversation between Balicki and Jacek about burial plots and regret. The only details of the trial are second-hand fragments from conversation between Balicki and the prosecutor outside the courtroom. Balicki is distraught; the prosecutor assures him that he delivered one of the most impassioned examinations against the death penalty that he’d ever seen. Balicki says, in this case, he would’ve hoped for a better judge. The only cut between the gruesome strangulation and rock-beating of the taxi driver and the end of the trial is a few minutes in which Jacek drives the cab to a friend’s home, offering to take her anywhere. Being an acquaintance of the cab driver herself, she stares in restrained horror at the devil-head hanging from the rear-view mirror and says, “Where did you get this car?”. The girl provides the audience with a reaction unencumbered by the agonizing exposition – a reminder that a jury only sees the evidence. In fact, Kieślowski’s omission of the trial allows her to act as a stand-in for the jury in Jacek’s trial. 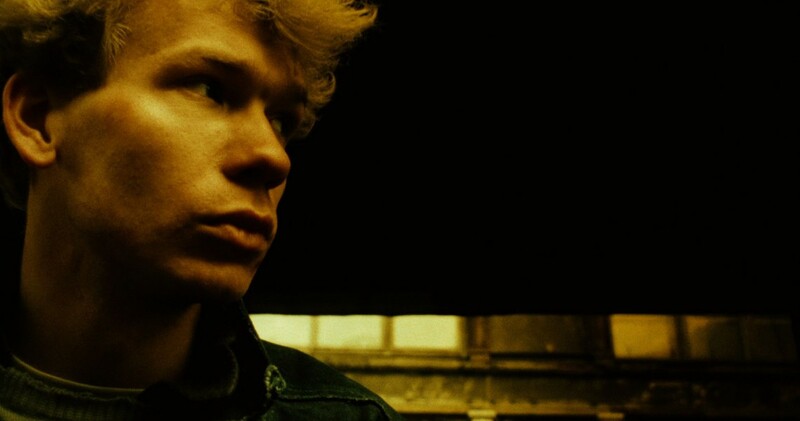 This friend is also an important human connection to the cab driver, since Kieślowski spends much of the film exploring Jacek’s morality for the sake of constructing a clean political statement. Furthermore, parallels between the original murder and the resulting execution aren’t subtle, but nor are they annoyingly overt, hitting a didactic sweet spot rare in narrative film. Both victims wear blindfolds. They both cry out in protest, they both struggle, but ultimately succumb to their fate. The cold, inhumane clack of the shoes of the doctor going to check Jacek’s pulse mirrors the dull thud of the rock Jacek uses to ensure the cab driver is dead after minutes and minutes of excruciating strangulation by cheap rope. What resonates most between the two scenes is the stark contrast between the frenzy of limbs and noise before with the stillness and silence after. Kieślowski makes the Polish legal system’s use of capital punishment look like the Code of Hammurabi. The reactionary, primitive qualities of “an eye for an eye” are steeped in this film’s narrative and compounded by the fact that Jacek’s court appointed lawyer becomes his therapist. Kieślowski prioritizes exploring Jacek’s moral complexities and relationships to other characters, thereby complicating what is expected to be a straightforward judgment by the audience. With a detailed, stylistic analysis of a straightforward case study, Kieślowski demands that murder and execution be deemed synonymous. The government’s insistence on separate definitions, as he formally demonstrates, is an illusion designed to instill fear, and is ineffective in protecting the lives of citizens. Written by: Liz Sobolik on November 19, 2016. Last revised by: Double Exposure, our reviewer, on November 21, 2016.